We are delighted to have been ranked as one of the UK’s most active advisers in July as deal values remained steady and the number of transactions topped 500 for the second month in a row, according to the latest figures. A total of 506 deals took place across the UK in July, up from 504 in June. Overall values totalled £22.8bn – an 11.6 per cent decline on June’s figure, but still around the average monthly return since January 2013. The volume of deals was boosted by a 13.1 per cent increase in the sub-£10m category and a 23 per cent surge in mid-market deals (£10m-£100m). Almost half (44 per cent) of transactions during July were trade acquisitions. Experian said there was also a “significant upturn” in the number of deals funded by private equity, which stood at 96, double the amount recorded in June. As part of the report, the most active legal and financial advisers were also revealed. 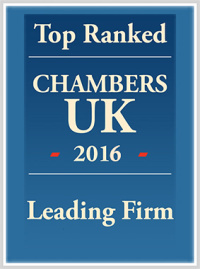 Muckle was ranked sixth in the legal adviser table, acting on four deals worth £13m.